In the early 2000’s, Australian Shiraz was the hot new wine until they started exporting cheap, sugary plonk with cute animals on the label to keep up with demand. Soon they gained an international reputation for selling cheap, sugary plonk and the market for Australian Shiraz plummeted. If they want to get their market share back maybe they should stop selling wines like this. Fruit forward with plum aromas, hints of chocolate and a bit of sweet oak on the simple nose. The palate has the same plum/chocolate thing going on but it’s cloying, just too sweet, with exposed wood notes midpalate and an odd sourness on the finish making the wine seem hard. An awkward wine even for the price, it has enough fruit power to wash down a pizza and the medium plus body will stand up to barbecue, but as a sipper it gives little pleasure. Owned by the conglomerate Pernod Ricard. A simple song, slow of pace, dark and moody will be a compatible companion, such as the Black Keys’ To Afraid to Love You. Oy. Aromas of ripe blackberry, meat, and mint highlights are simple but pleasant. 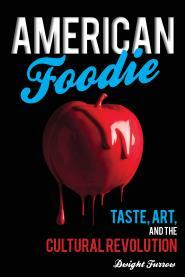 But the palate? It feels plush at first but quickly turns hard as an anvil, thin, and sour—and it goes downhill from there, the finish a crescendo of bitter, a diorama of ruin. This is a travesty, maybe the worst wine I’ve tasted all year. I pulled up some metal with an appropriate title, the Wait’s Killing Joke, which fleshed out the midpalate a bit but nothing redeems this wine. Morse Code is an entry-level brand of Henry’s Drive. I can’t think of anything more likely to drive someone to drink beer. What does it say about Bevmo that it carries this crap? Good wines usually reflect what is typical of their region. Great wines transcend that limitation expressing a depth and complexity that never seems typical. My expectations prior to tasting this iconic Australian wine was for new world power and excess—dense, sweet fruit, high alcohol, and too much oak. What I got was quiet power garnished with old world elegance and finesse, intensity without ostentation, dense and rich to be sure, but more Mozart than Wagner. From the very beginning, in 1951, this wine was designed to excel, with original winemaker Max Shubert using techniques he learned in Bordeaux to make Australian wine that could compete with the world’s best. The story of its inception is well known but worth repeating. The first several vintages were not well received and so the owners instructed Shubert to suspend production. Giving substance to the myth of the rebel winemaker, Shubert secretly continued production, and when the earlier vintages developed character when aged in bottle, critical appraisal flipped and official production was restarted in 1960, with management still unaware it had never stopped. Although it’s now owned by the mega-conglomerate Treasury Wine Estates, Grange remains Australia’s best known brand getting top dollar at auction in part because of its consistency. Unlike most of the world’s great wines, the grapes for Penfolds Grange are sourced from many vineyards and from many regions of South Australia. That makes this a winemaker’s wine since each vintage is a complex blend constructed intentionally from diverse grapes. It also means vintage variation can be minimized since the vagaries of one vineyard can be corrected using grapes from elsewhere. This Shiraz is typically blended with a small percentage of Cabernet Sauvignon. Blackberry, chocolate, and mint aromas explode from the glass keynoted by smoke and cigar box. In the mouth an intense core of dense, dark fruit reigns imperiously but the midpalate gradually softens achieving a wonderful textural sensuality, highlighting savory earth flavors with time in the glass. The still firm tannins orchestrate a supple, seamless finish exposing hints of charcoal. The wine exudes majesty yet feels sumptuous like a warm kiss, a marriage of power and care. You have to admire Jacob’s Creek, Australia’s #1 wine brand with an annual case production over 6 million. Has there ever been a more perfectly coiffed wine? Every hair is in place, not a hint of something unpleasant, juicy but not a fruit bomb, not too in your face, not too sweet, just enough acidity to give it life, some oak but its well-integrated, modest tannins to give it some length. There is even a little complexity–red and black plum, hints of black pepper and eucalyptus, toast, a little dusty earth, chocolate on the palate and a soft, smooth texture. There is just nothing here to offend even the most sensitive palate. There is also nothing very interesting about it. But for $7 you can suspend your curiosity and revel in benign sanctuary. It isn’t easy to make a wine this safe. 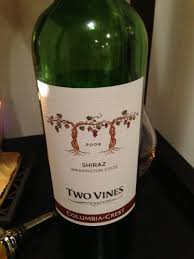 Two Vines is Columbia Crest’s entry level wine. This one is a bit of a curiosity. A wine under current release for less than ten dollars that is 6 years past its vintage date. Most wineries don’t incur the expense of holding back budget wines to give them more bottle age. I’m not sure when this was released but if it was held back to give it more time to come together in the bottle, Columbia Crest is to be commended for caring about wine quality. It also puts a lie to the the claim that cheap wines don’t improve with age. True, most do not but this one is showing no signs of decrepitude and has come together nicely. The nose is not particularly expressive—black cherry, cassis and tobacco provide some interest but it is neither complex nor intense. There are still hints of wood but given the time in the bottle the oak is well integrated. On the palate, it is rich and intense, dry, flavorful and satisfying with black cherry giving way to very dark chocolate midpalate, leading to a peppery finish. The tannins have presence but are soft and fall away quickly, and with relatively low acidity, the wine lacks some structure. In summary, a pleasant wine with sturdy, mid-palate flavors and a sincere aspect—it doesn’t try to be lush or overtly charming. Excellent value for the price. With age, the rough edges are sanded without going sweet. Like Mick Jaggar and band. I respect that. The saga of Australian wine exports has yet to be definitively written. In the mid-2000’s Australian Shiraz was flying of the shelves in the U.S. and U.K and the word was that Australia would be the next powerhouse wine region. Wine writers are still debating the cause of the collapse but there was probably several factors at work: too much focus on quantity over quality and thus a reputation for cheap, excessively sweet wines (aka Yellowtail); a formulaic approach to winemaking driven by a few large producers producing clean, but dull wines; and at the high end, excessive focus on overly-ripe, heavily-oaked fruit bombs of the sort given high scores by Robert Parker. The debate is on-going. It would seem, if this offering from Oxford Landing is representative, that the Aussies are performing an about-face. Although some ripe plum notes are apparent, the nose is weirdly floral with generic wood notes, baking spices, and some pepper in the background. It is off-putting at first because one doesn’t expect a Shiraz to be quite this floral, but I grew accustomed to it. 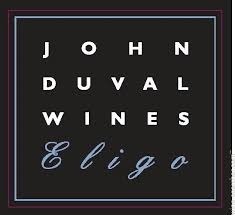 The palate shows simple plum flavors on a medium-weight frame and it’s smoothly-textured in its initial phase, but medium plus acidity and robust tannins take over and make the finish a long but puckering affair. There is plenty of structure but it all turns sour and bitter so the finish is a bit of an ordeal. In any case, there is no overall impression of sweetness and certainly not fat and flabby. The mouthfeel would be quite nice if the flavors had more depth and persistence. It took me two days to warm-up to this wine but I found my enjoyment meter inching up it by the end of the bottle. The grapes are harvested in Riverland, a very warm region. (Oxford Landing Estates is owned by Yalumba) This is a quite different expression of Australian Shiraz—I’m interested to see if it is a trend.